May 1, 2012 American Honda Motor Company Inc., honored Sales Consultant Doug Smith, from Patty Peck Honda in Ridgeland MS, as one of the nation’s top sales volume performers in 2011. American Honda also recognized several of our Honda Sales Consultants. The Honda Council of Sale Leadership Award is a recognition program designed to encourage professional development and sales excellence throughout the entire Honda dealer network. With a primary focus on the areas of training, sales volume, and customer satisfaction, the program identifies sales consultants who excel at enhancing the buying experience. Ted Buck has been a Sales & Leasing Consultant at Patty Peck Honda for three years, and continues to enjoy meeting new people at his job while helping customers find their perfect new or used vehicle. We’re excited to bring in our newest member to the Patty Peck Honda family, Steve Churchman. Steve is our new Sales Manager, and we’re proud to have him on our team — he has been apart of the car industry for a whopping 28 years! Michael Rucker has been cleaning, washing and detailing cars that come through our Patty Peck Honda Service Department for the past three years. Robert Mack is one of our fabulous sales and leasing consultants here at Patty Peck Honda. He has been selling new and used vehicles at our dealership for seven years now. 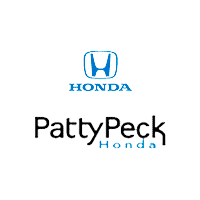 You may start seeing double when you come into the Patty Peck Honda showroom. The Ron and Don Lee brothers are two of our sales and leasing consultants. They have recently been added to the Patty Peck internet team, as well. JJ Thompson is Patty Peck Honda’s Salesperson of the Month. JJ sold 26 cars alone in January! He typically is in the top three to five spot for most sold cars in a month, but more importantly, he loves what he does.